December 14th at Master Theater in Brighton Beach, Brooklyn. 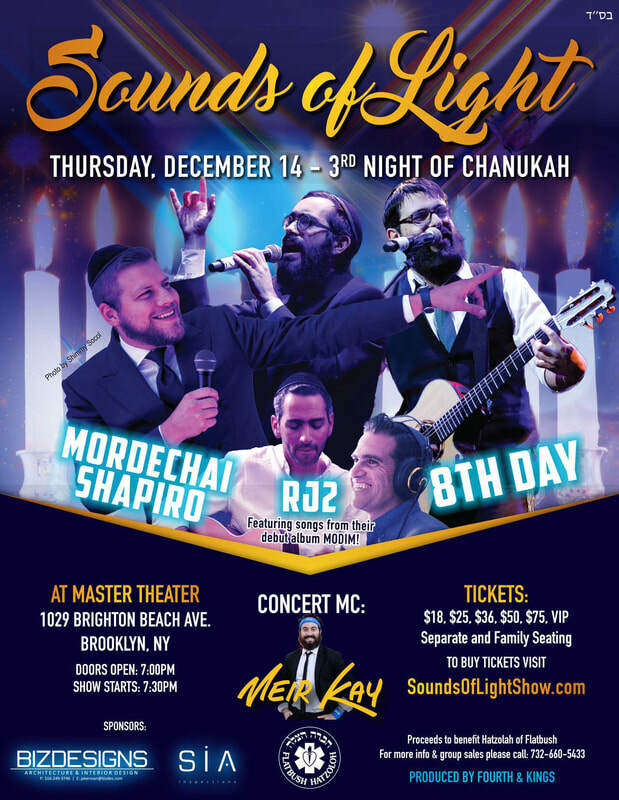 Come celebrate Chanukah with fun, inspiring music from 8th Day, Mordechai Shapiro and RJ2! All proceeds to Hatzolah of Flatbush. August 14th is now marked on the calendar as the day we finished recording our first full length studio album! So much to come from us to you in the next few weeks. Can't wait to share!